Congratulations to tour winner Michelle L. and to host winner Lisa Haselton's Reviews and Interviews. 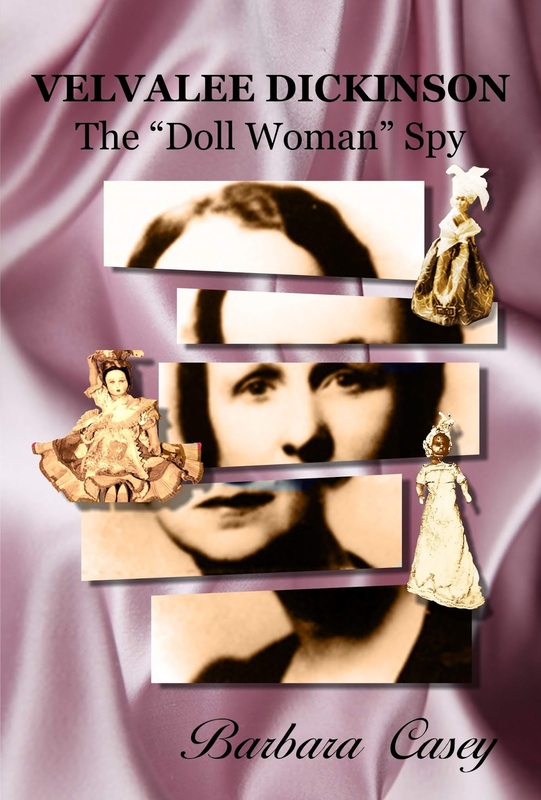 Goddess Fish Promotions is organizing a Virtual Book Tour for Velvalee Dickinson: The Doll Woman Spy by Barbara Casey, a Nonfiction/Biography/True Crime available April 1 from Strategic Media Books. The tour will run April 1 - April 12, and Barbara Casey is available for guest post and interviews. A PDF copy of the book is available for review in conjunction with a guest post or interview. Barbara Casey will be awarding a $20 Amazon/BN GC to a randomly drawn winner via rafflecopter during the tour, and a $20 Amazon/BN GC to a randomly drawn host.